With the highly anticipated launch of the new Last Guardian game created by SIE Japan Studio exclusively for the PlayStation 4 now finally set for December 6th 2016. Details have been released this week regards the soundtrack from the game and how it will be available to purchase in a number of different formats including vinyl. The Last Guardian Composer’s Choice PS4 Music App of the score featuring 19 tracks will be available separately at launch from the official PlayStation Store. Watch the video below to learn more about creation of the sounds and soundtrack for The Last Guardian game. Dais Kawaguchi Producer at SIEA explains a little more. As ardent fans of Fumito Ueda’s past games can attest, the audio component of his projects – both sound and music – play a vital role in immersing the player in a rich fantasy world. Many gamers who hear the theme from the 13th boss in Shadow of the Colossus, for example, will immediately recall standing atop a sprinting Agro in pursuit of a gigantic snake like creature soaring over a barren desert. The aural presentation in The Last Guardian is no less crucial for achieving the full experience of exploring this new world with Trico. 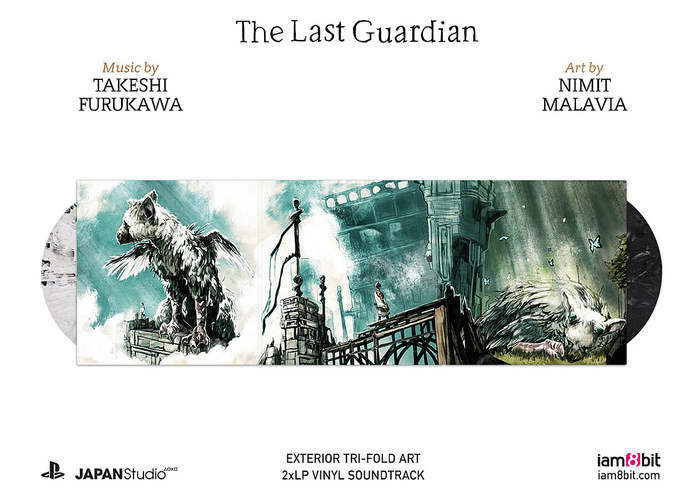 Determinedly composed, orchestrated, and conducted by Takeshi Furukawa and gracefully performed by the London Symphony Orchestra, Trinity Boys Choir, and London Voices at Air Studios, the music of The Last Guardian is laden with emotion — and often haunting. It powerfully complements the story of this boy and creature, alone amidst ancient ruins, working together as they seek a path to freedom. The soundtrack app supports both stereo and surround playback, and also allows users to export all the tracks as stereo MP3 files via a compatible USB drive. The soundtrack will also be available via iTunes at a later date.